History : 05/18/99 : Acquired for $46.00. 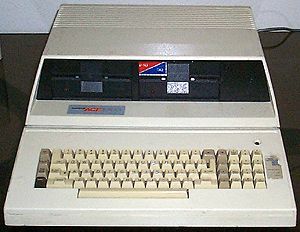 This is an Apple II clone with 2 built in 5.25" floppy drives. I just have the basic system, if you have manuals or anything else for one of these, please drop me a line.